One thing that really perplexes the modern Indian woman is formal western attire. Well, there are more hits than misses when compared to successes. 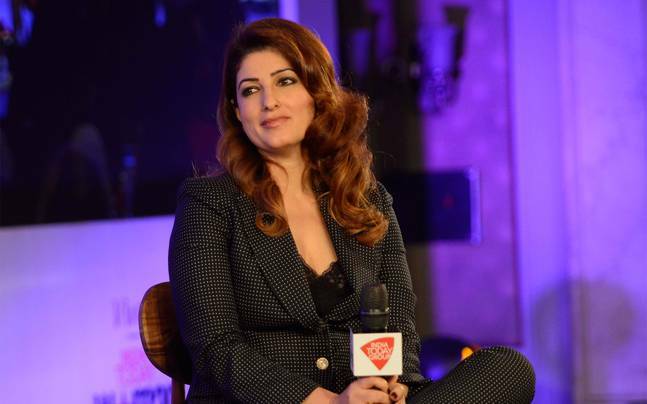 However, this was not quite the case at the India Today Woman Summit and Awards function held recently as some of our favorite contemporary stars stepped out of the world of glitz and glamor and sported a corporate look, which they all nailed. Well, there is a very important lesson that can be learned here from some of these fashionistas. Actor turned Mrs Funnybones author, Tinkle Khanna, has always been known as a beautiful, charming, and intelligent woman with an incredible sense of humor. Apart from that, she is the better half of one of the country’s much-loved star’s Akshay Khanna. Twinkle has been raising issues that plague of our country in her column and has addressed it even in her books. For this reason, she was at the center stage of the event. At the event, she was adjudged as the ‘Best Author of the Year’, an accolade much deserved. As always, Twinkle was dressed for the occasion. She wore a black chequered pant suit that had a blue motif. She selected a pair of green and blue sandals while her natural makeup was spot on. Her hair fell over her shoulders and she looked picture perfect! Over the last one year, Tapsee Pannu has become the poster girl for feminism in India. Her debut in a woman-centric film Pink created a lot of heated debates across the country, for all the right reasons. For the event, she wore an Asos midi skirt paired with a white crop top from Madison from Peddar. Well, that’s not all she wore a denim jacket. Her makeup was just right for the occasion. Her pearl earrings looked good with the entire ensemble. Richa Chadda took centerstage at the event and spoke on ‘Feminism’. Since this fashionista is not just a style icon she and she looked the part as well! She selected a black Label D. Credits paint suit and she completely owned the look. Natural hair and make up added to a professional look. A pair of high heels and earrings completed her look, she looked fab to say the least! If you like this article, spread the love by sharing it with your friends. Don’t forget to subscribe to our website for the latest style and fashion updates. Stay stylish!